We told you last year about a study that showed that the Apple Watch could detect heart problems such as arrhythmia and atrial fibrillation with a high degree of accuracy. 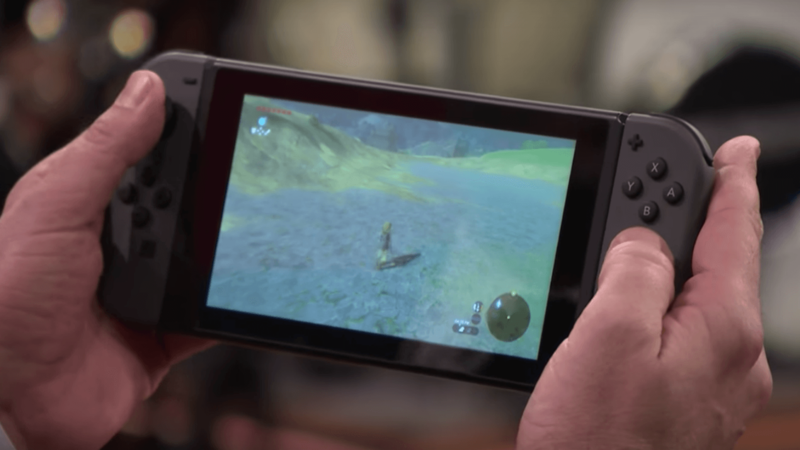 Well, now it seems the Nintendo Switch can help detect tumors. HD Rumble is Nintendo’s version of Sony’s DualShock. It provides vibrational feedback in some games. The feature is not used in too many Switch titles yet but one that does use it is Mario Kart. In a Reddit post, Chalms explained that when you pick up a coin in Mario Kart, the HD Rumble kicks in with an intense burst of vibration. Whenever this happened, it sent a shooting pain through his hand from his palm to the first joint in his index finger. At first, he wrote the pain off as RSI (repetitive strain injury). He is a computer programmer and figured it was work-related. However, the pain increased until he could not use the Switch anymore. He has an Xbox as well and playing that caused no discomfort. A few months after he quit playing Mario Kart, a small bruise appeared on his hand approximately where the pain had manifested. It was about this time that a friend of his got a Switch and wanted to race him, but the pain had gotten even worse and prompted him to see a doctor. After an ultrasound and an MRI, he was told that he had a tumor in his hand. His doctor said there is only a five percent chance of it being cancerous and that it is more likely to be either “a vascular malformation or a giant cell tumor.” In any event, his doctor wants to remove it and has scheduled him for surgery which he will be undergoing on Monday. In the meantime, Chalms is looking for suggestions for one-handed Switch games he could play during his recovery. If you know of any, shoot him a reply at his Reddit post or just hit him up with a "get well."